A crew of space travelers investigating a signal of unknown origin land on a murky planet, where they fall prey to an unknown stalker. Oh, and there’s an ancient alien craft populated by giant skeletons. Sound familiar? 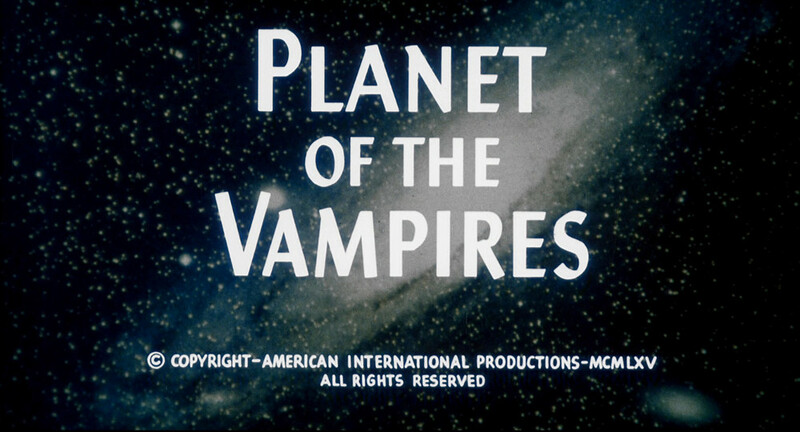 It’s impossible to watch Planet of the Vampires without thinking that it greatly influenced Alien . Not just the high-level plot similarities, or the probable coincidences such as U-shaped spacecraft, but what really strikes you is the creative emphasis on creating a style-driven science-horror experience. It’s just that those styles couldn’t be more different. Where Ridley Scott choose claustrophobic darkness, Mario Bava elected for bright openness. The bridge sets of the investigating travelers are ludicrously cavernous. The only trace of the creatures preying on the crew are fleeting glimpses of glowing light in a landscape of mists and garish hues. The result is an eerie fantasy world that looks amazing, but unfortunately it’s too ethereal to believe in. The place where it works best is in the least necessary part of the movie. The interiors of the derelict craft are cramped, especially for the giants that used it. Strange equipment lies everywhere, and attempts to use it activate electric shocks, unintelligible recordings, and the bulkhead door — leading to a panicked effort to reopen it and escape. It’s a terrifically moody scene, and although it lends to the atmosphere and verifies that this planet is a trap, it’s a mostly superfluous diversion from the main story. It’s got to be humiliating to be caught by a dead guy. It’s a neat movie, and I adore it, but I’m afraid it’s not very good. The dubbing is never great and is often downright silly. While there’s a lot of visual interest (the costumes and some of the set designs are nifty), there are many times in which it’s painfully apparent that you’re looking at cardboard with a lick of paint. If you like style over substance — and when it comes to Italian cinema, I most definitely do! — then it can be a rewarding view. One more note: if you’re expecting vampires, you will be frustrated and potentially aggrieved. The vampires exist solely in the minds of whatever marketing team came up with the American title. 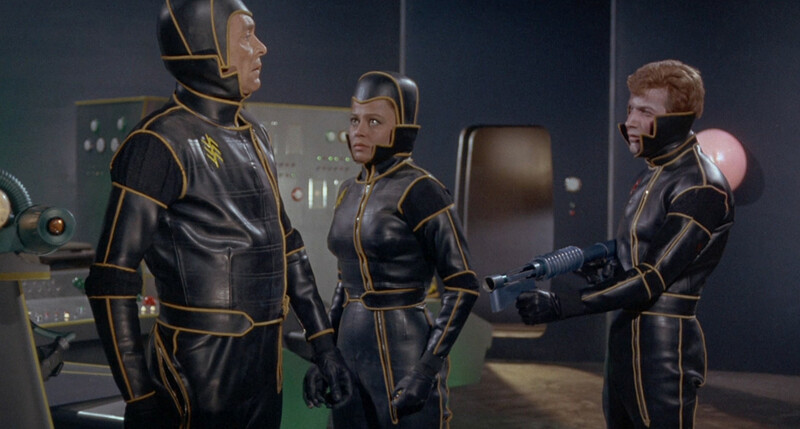 The original name was the less inaccurate Terrore nello spazio , or Terror in Space . There are some corpses that walk around. They aren’t exactly zombies, but they certainly aren’t vampires. Thank the marketing team at AIP for the misleading title. So now you know.